Interesting work car, still in Pennsylvania RR paint spotted 40 years ago to the date in New Haven. 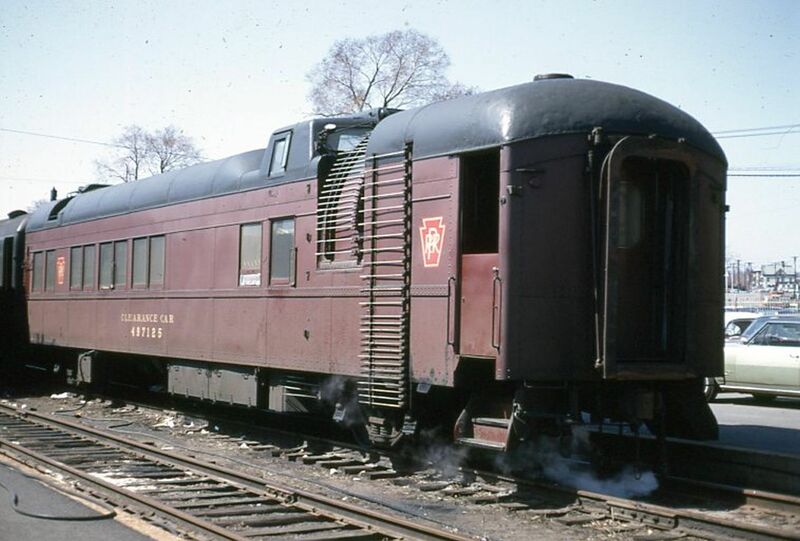 What was the Penn Central worried about, clearance for the GG1's? Photographed by Ron DeFilippo, April 11, 1969.